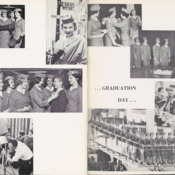 Images from pp.98-98 of brochure entitled "Horizons Unlimited: An Indoctrination Course for Flight Service Personnel"
This item is part of object asm0341001409. To request this item, use this number to search for it in UM Libraries' Digital Collections. 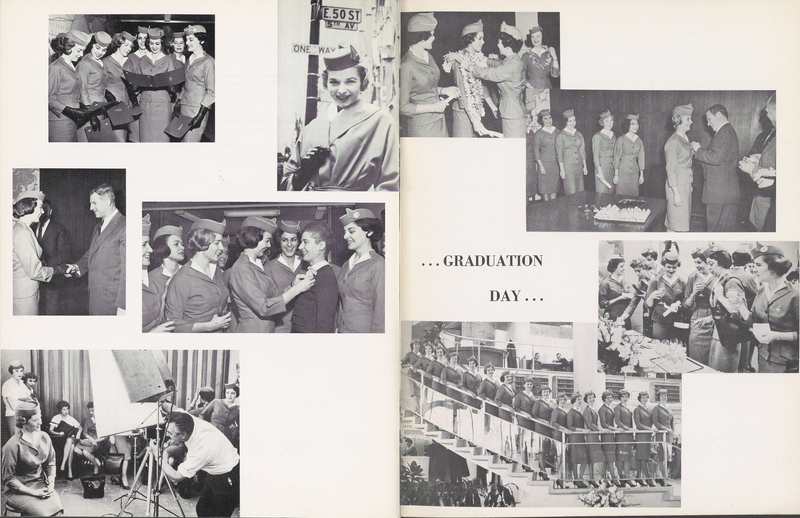 Pan American World Airways, Inc., “A class of Pan Am flight attendants graduating from training school in 1963,” UM Libraries Digital Exhibits, accessed April 22, 2019, http://scholar.library.miami.edu/digital/items/show/1628.